All have plastic hose guards. These hoses are MSHA approved. 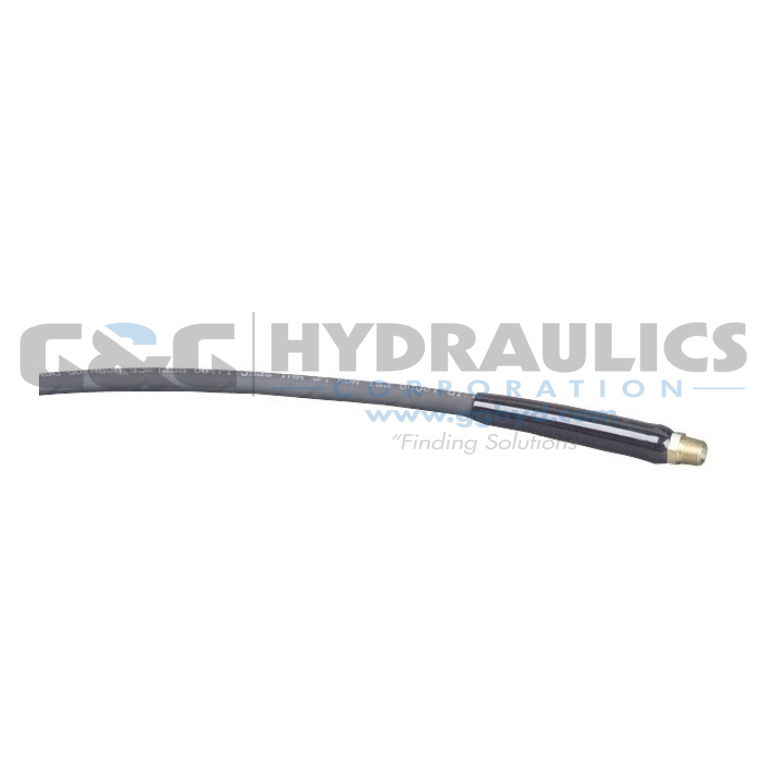 9754 Hose assembly consisting of 9756 (6' hose), 1/4" I.D. rubber with 9798 (hose half coupler), and 9800 (dust cap) assembly. *Furnished with 9798 hose half coupler and 9800 dust cap.